Merchandise | Lancashire Group Of Endurance GB. *Lancashire Red Fitted Ladies Polo Shirt. *Lancashire Red Polo Shirt All Polo Shirts £15.00. 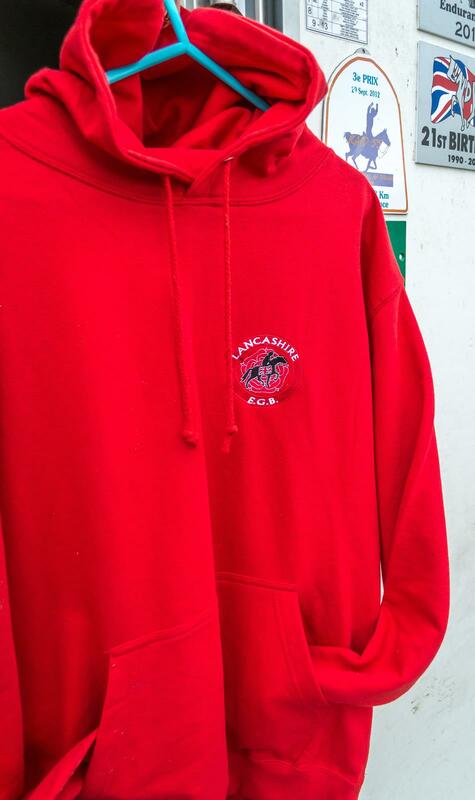 *Lancashire Red Hoodie £19.00 or with zip £25.00. Available in Adult & Children’s sizes and many colours. *Numnah available in various styles & colours with Lancashire Logo. Small logo £32.00 Large logo £37.00. * Summer Sheets with Red & White trim or Navy & Red trim. Available with 1 Logo £30 or £40 with logo on both sides to order. Large 13-14cm £10.00 / Small Logo 7-8cm. 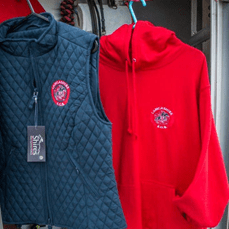 If you require any other Lancashire Merchandise or sizes please contact Linda Cowperthwaite or Gill at Happy Horse on 01772 672118 and quote Lancashire Endurance. A display will be made available at Lancashire EGB rides to purchase. 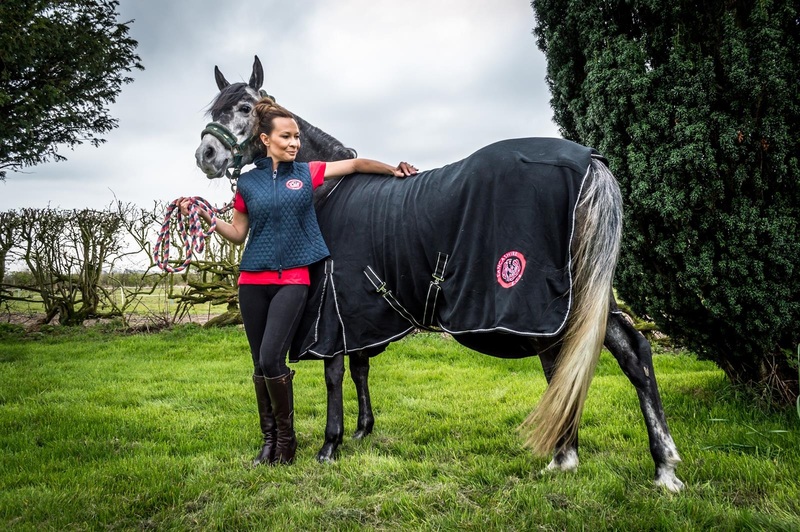 Take you own items to Happy Horse to embroider the Lancashire Logo and add your name for a special deal of £1 per name with Logo. An additional name embroidery option is available at £1 per name.